If you want to lose weight, fire up your metabolism! 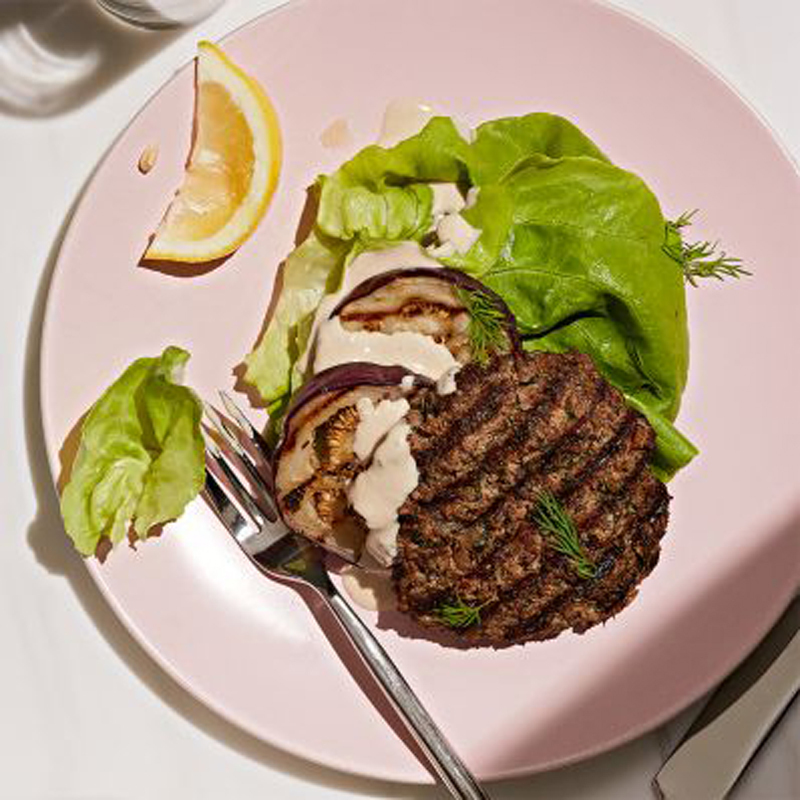 “It converts the food you consume into energy,” explains Ashley Borden, master celebrity trainer, author and creator of The AB Fit App. 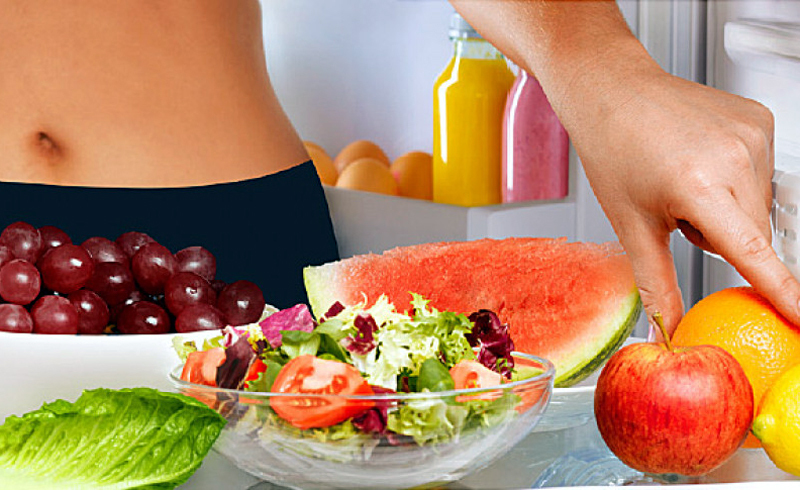 Great ways to accelerate that process and burn, baby, burn are exercise and diet. So we asked celebrity nutritionist Haylie Pomroy, author of Metabolism Revolution, for smart eating advice to go along with Borden’s exercise plan that boosts lean muscle. “Muscles are mini furnaces,” says Borden. “When the body has more muscle, the furnaces work—day and night—keeping your metabolism revved.” Do Borden’s circuits on the same day or alternate days, depending on how much time you have. Do some active stretching before starting your workout. With a strong core, swing one leg forward and back with purposeful momentum. Complete your routine with static moves like this quadriceps stretch. When Pomroy’s clients request tips for losing weight, she recommends unsweetened dairy alternatives. 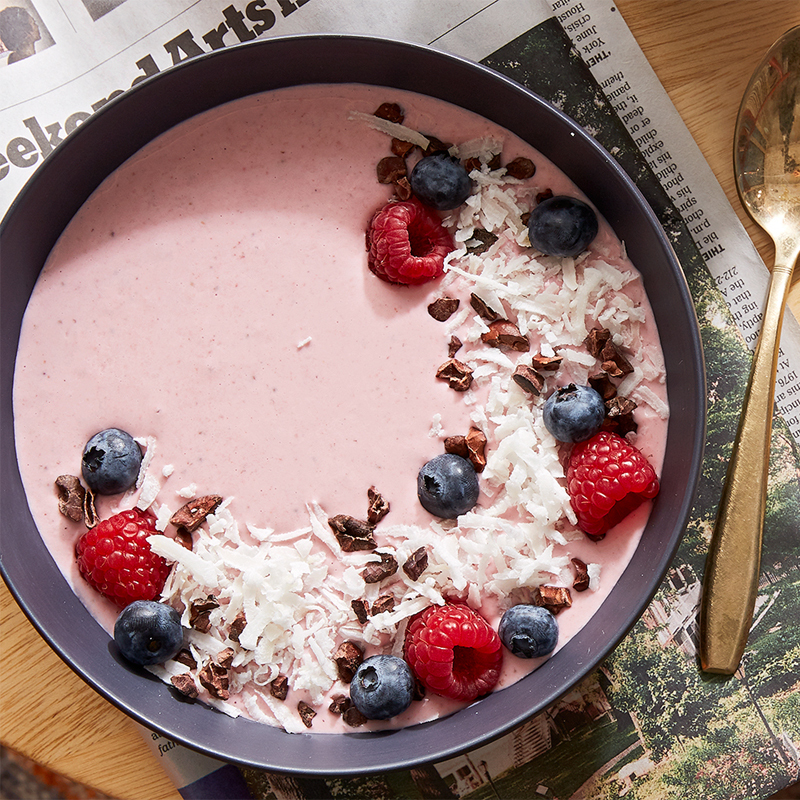 Many coconut and almond milk yogurts contain similar amounts of keep-you-full protein without the metabolism-disrupting sugar. She also suggests fruits that are low in sugar and high in antioxidants, like berries, and fiber-rich seeds, such as flax or chia. Grab a pair of dumbbells to target your entire body with this routine. Limit breaks to wrap things up in 30 minutes or less. Just follow the numbered order below. To actually see your body change shape, embrace the heavier weights. If you’re new to lifting, start with a weight that causes you to slow down in 6 to 10 reps.
Tempo Squat: Begin with your feet hip-width apart and lower into a squat in a 3-count. Pause for 2 seconds, then stand back up, squeezing your glutes in a 2-count. Repeat for 5 reps. 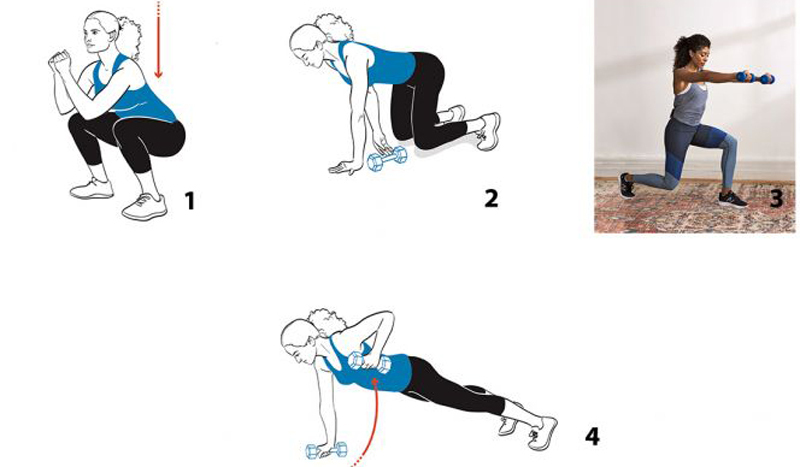 Grab and Pull: Start on all fours with a dumbbell behind and outside your right hand. Lift your knees an inch off the ground and hold this position as you grab the dumbbell with your left hand, pull it underneath your body and place it outside your left rib cage. Don’t let your torso rotate. Place your hand back down and repeat on the right side. Continue alternating for 10 total reps. Reverse Lunges with Forward and Lateral Raise: While standing with a dumbbell in each hand, step your left leg back into a reverse lunge and bring your arms out to the sides at shoulder height. Lower your arms back down as you stand up. Repeat lunge with your right leg, this time raising your arms out in front of you. Continue alternating lunges for 10 total reps.
Plank to Row to Sumo Stand: In a plank with hands on dumbbells, row your right, then your left arm back. Next, step or hop your feet up to the outside of your hands and land in a sumo squat, toes pointed slightly outward. Finally, stand up, squeezing glutes and shoulder blades, keeping your arms straight down in front of you, still holding dumbbells. Return to plank. Repeat for 5 total reps. Fat is where it’s at! 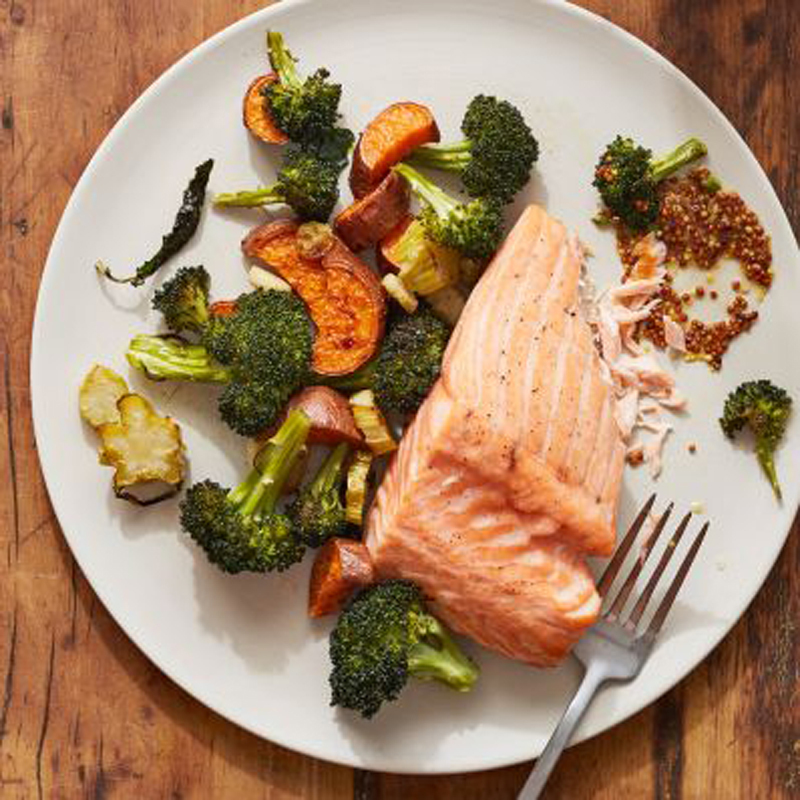 Fish is rich in omega-3s, which curb inflammation and stimulate metabolism. Omega-3s have the added benefit of promoting balanced blood sugar—keeping you from peaking and crashing during workouts. Sweet potatoes are another bright addition to the plate, not only for color but for your immune system and skin (boosting collagen and elasticity), thanks to vitamin C and antioxidants. They also contain a hefty dose of manganese to further kick up your metabolism. You can do this in 10 minutes or less! You’ll start with the toughest move at the lowest rep count and end with a less intense exercise at a higher repetition. Make any move easier by eliminating the jump. To burn more calories, work your muscles to fatigue or to the point where you can’t do another rep—without, of course, sacrificing form. Star Jumps (5 reps): Start with feet hip-width apart. Drop down into a squat, with weight in your heels, then immediately explode up, extending your hips, arms and legs out on diagonals to form a star shape.Land softly back down and repeat. 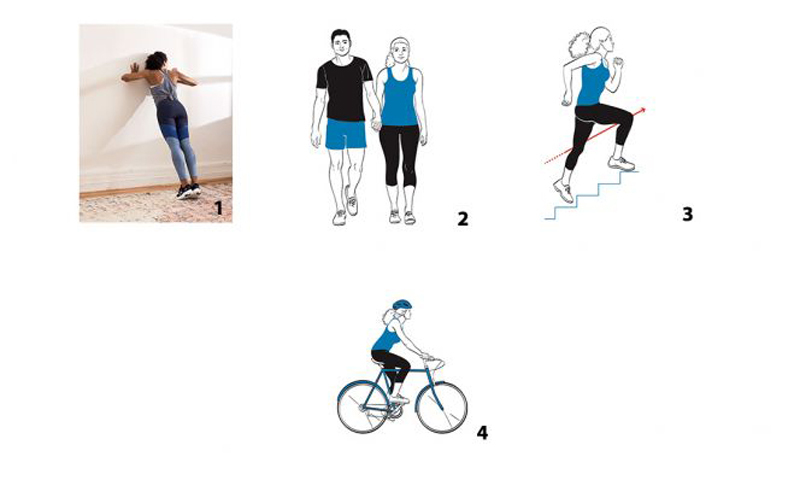 High Knee Lateral Pumps (10 reps,): Quickly alternate pumping your arms and pulling your right, then left knee up toward your chest, taking one step at a time to the right while pumping your arms. After 10 pumps, repeat while moving in the other direction for 10 pumps. Mountain Climbers (20 reps): Begin in a plank position, arms extended with shoulders over wrists. Quickly drive your knees toward your chest, one at time, while maintaining a solid plank position. Forearm Plank Step-Out (40 reps): In a forearm plank position, step one foot out to the side, wider than hip-width apart. Step back to plank and repeat on the other side. Continue alternating. “Dilution is the solution for pollution,” says Pomroy. 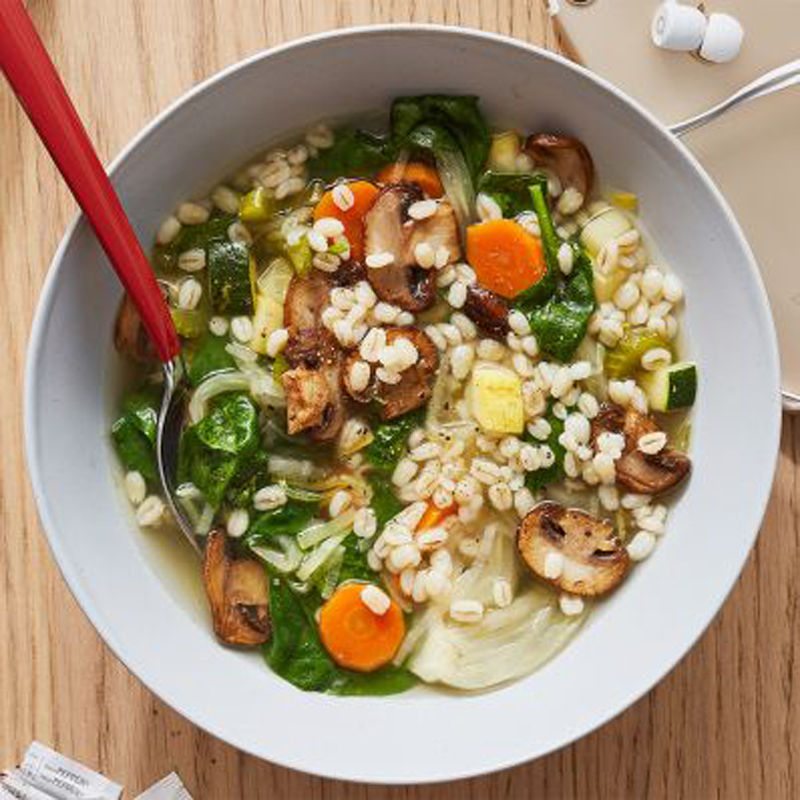 Liquids, like soup, are necessary for the body to flush out by products of fat metabolism. Barley adds an extra dose of fiber, or opt for wild rice—a gluten-free option that’s also high in B vitamins (which regulate hormones). Don’t just sit there! Incorporate these tiny tweaks into your day to melt at least 100 more calories daily. The percentage of calories your body keeps burning for up to 24 hours after you finish an intense workout—even when sitting down. Drop and give it 5. Hit the deck (or wall) for 5 push-ups, 10 squats or a 30-second plank between tasks today. Pick a date. Need to catch up with one of your besties? Want to talk to the hubs about something? Instead of sitting down for a chat, take it outside for a catch-up stroll. Master the stairs. By taking them two at a time. Focus on pushing off the heel of your foot on the top step to activate your glutes. And engage your core to work more muscles. Swap your car for a bike. At least once a week, get to your destination (work, the grocery store, a neighbor’s house) using your body. (C’mon, we could all pedal the pavement a little more.) One study showed three to six months of an active commute can lead to significant fat loss. Beef is a terrific energy source. It’s loaded with protein (a natural metabolism booster) and iron (to up your red blood cell count, delivering oxygen throughout your body). Pairing it with eggplant helps your body more readily absorb the iron. Add to that the mix of fresh herbs, and you’re on your way to having a gut-friendly meal, as ingredients in the herbs promote digestion.